To doctors, patients are not people, not exactly, not as Jenny Davin (Adèle Haenel) explains it to her young colleague Julien (Olivier Bonnaud) in an early scene of “The Unknown Girl”, because allowing your emotions to take over in the examination room or in the midst of medical emergency might yield a wrong diagnosis or a grave mistake. 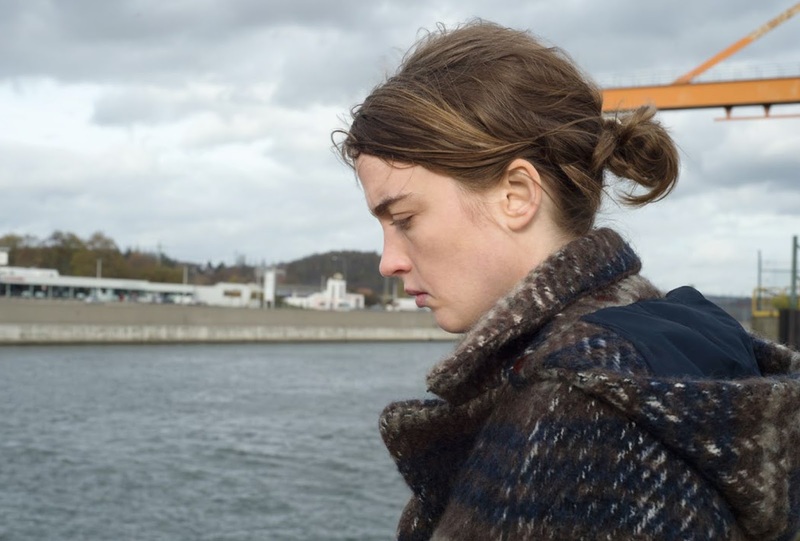 Maybe that sounds obvious, but The Dardenne Brothers, Jean-Pierre and Luc, writers and directors, are not merely content with observing this reality, choosing instead to take this reality and then run it aground. This happens when Jenny, tired and yearning for a brief respite of something like privacy, deliberately ignores an after-hours call at her medical practice, only to learn this was not a call from a pesky patient but an unknown girl being chased by an assailant, an unknown girl who has been found dead, a police detective explains, not far from Jenny’s door. And so Jenny undertakes a mission to uncover the unknown girl’s identity, hoping to ensure she does not become lost to the world. It is a mission on which Jenny exudes the same weary resolve as the examination room, the professional bleeding into the personal as she finds herself re-writing her spoken code in real time. Though in the wake of this development “The Unknown Girl” turns into something of a procedural, with Jenny playing an amateur sleuth and the titular character’s backstory emerging in little bits and pieces, the plotting will not be confused for Agatha Christie. Indeed, the murder mystery contains fewer I-Didn’t-See-That-Coming swerves than conspicuous contrivances, never mind non-existent thrills, to keep the story narrative percolating. That doesn’t have to be bad thing. The Dardenne Brothers’ previous film, “Two Days, One Night”, also turned on contrivances, though there the particulars of the plot were of less concern than the emotions and themes that plot engendered. And though it is gradually revealed that the unknown girl is an illegal immigrant, and that the cops on the case seem less interested in actually identifying this illegal immigrant than how she tangentially relates to a drugs case, the film comes across less determined to pass judgment on society as a whole than in simply focusing on Jenny’s own guilt and desire for absolution. That’s why even as she goes about interrogating strangers Jenny never strays far from her practice, continuing to see patients. Though many of these brief scenes stand apart from everything else, existing merely unto themselves, in connection with her playing detective to right her wrong they come to resemble something more like penance. Indeed, while a subplot finds her given the chance to take a more prestigious job, she turns it down to remain at her medical practice in a poor neighborhood. In other words, she intrinsically finds herself drawn to these patients as people, which becomes only more pronounced when her investigation, as it were, connects back to patients she knows from her practice. As all this unfolds, The Brothers Dardenne typical unflashy, handheld camera remains affixed to Jenny, suggesting a kind of intimacy between audience and character, though, oddly, even as the movie progresses and we remain firmly in her company, who she is as a person never quite comes into view. In fact, midway through the movie she essentially moves into her medical practice, eating and sleeping there, as if deliberately refuting the vérité camera by closing off her personal life. And the coat she often sports, always outdoors, but even sometimes indoors, allows for her to blend into the bleary beige and white backgrounds, and one scene, with Julien, in a wooded outdoors setting, she almost vanishes completely. At first blush the illegal immigrant would seem to be the subject of the film’s title, and I half-suspect The Dardenne Brothers agree, but the further the movie progresses, the more Jenny surrenders so completely to what she does that whoever she is, whatever she was, is sacrificed.